Anti-Counterfeiting Trade Agreement educational video above. EFF's take on ACTA here. The European Commission is apparently pushing the European Parliament to drop its skepticism, Techdirt story here. More on why ACTA's secretive nature is problematic here. Last week the Senate Judiciary Committee voted the Protect-IP Act out of committee. Sen. Ron Wyden put a hold on it on Thursday. I read it and my comment focus on the aspects of interest to the civil litigator. Section 4 "Eliminating the Financial Incentive to Steal Intellectual Property Online" of the Protect-IP Act would let a private attorney, on behalf of a copyright or trademark owner, commence an in personam action against a registrant or owner of an "Internet site dedicated to infringing activities". If these folks cannot be found or don't have addresses within the U.S., the private plaintiff could bring an in rem action against the domain name itself. As part of the remedies authorized, you would be able to get a court to order any company processing financial transactions with the domain to stop, as well as any company advertising on the domain name. Invoking these provisions would subject a plaintiff to a fairly high standard of proof. Critics have focused on other aspects of the bill giving the Attorney General sweeping powers (see links below). For a U.S. IP owner facing an offshore scofflaw who is doing business in the United States, Section 4 of the bill seems to be a fairly sensible and well-balanced remedy. A copy of the full text of the Protect-IP Act passed by the Senate Judiciary Committee last week here. The Electronic Frontier Foundation' criticisms of the bill here. Last Thursday, Senator Ron Wyden of Oregon blocked this "internet censorship" bill, story here. Larry Downes' take at Forbes here. Techdirt on Larry Downes here. The 1709 Blog reports Google's defiance of search-engine blocking provisions here. A nice summary of the copyright wars in the 20th century, the Guardian interviews Cory Doctorow. Direct criticism of lawmakers' willingness to criminalize popular entertainment. Die Galerie Vömel, mehr als ein halbes Jahrhundert in Düsseldorf ansässig, wurde von Alex Vömel - Geschäftsführer der legendären Galerie Flechtheim - gegründet und wird heute von seinem Sohn Edwin Vömel weiter geführt. Vor einigen Jahren ist die Galerie in das alte Stadtpalais gegenüber vom Stadtmuseum in die Karlstadt umgesiedelt. Die Galerie Vömel führt Arbeiten der klassischen Moderne, weiterhin ist sie spezialisiert auf Skulpturen und Arbeiten auf Papier des 20. Jahrhunderts. Gezeigt werden regelmäßig Ausstellungen, welche mit Katalogen dokumentiert werden. Shunned by his former friends, those who stole his art conveniently wrote him out of art history. In a book called Boston Modern, art historian Judith Bookbinder credits Alfred Flechtheim with donating a Rudolph Belling sculpture of himself as being the foundation of Harvard's collection of modern German sculpture that turned into the Busch-Reisinger collection. Flechtheim represented artists such as Paul Cezanne, Vincent Van Gogh, Pablo Picasso, George Braque, Andre Derain, Paul Klee, George Grosz, Wassily Kandinsky, August Macke and many others. Flechtheim was featured on Nazi anti-semitic posters as the symbol of International Bolshevist Jewry - More on Flechtheim's nose here. When in 1933 Nazis started attacking modern art in anti-Semitic museum exhibitions, Flechtheim and his sales to German museums were attacked. When the 1937 Entartete Kunst exhibition took place, the Nazis had a life-sized portrait of Flechtheim. New York's Museum of Modern Art has many works from Alfred Flechtheim's 1933 inventory, but refuses to share the provenance documentation of these artworks with researchers. A Swiss government report on MoMA's role in the Nazi looted art trade here. Shockingly, MoMA's current exhibition catalog German Expressionism: The Graphic Impulse, writtten by Starr Figura and Peter Jelavich, completely omits any mention of Flechtheim. Alfred Flechtheim's German-language Wikipedia page is here. Whether from ignorance, stupidity or venality, American museums and art historians seem to be determined to write Alfred Flechtheim out of art history. It may be that the arrest and trial of this forgery ring in Germany will succeed in uncovering that which those Americans trafficking in and concealing Nazi-looted art would like to bury. Not even one English-speaking Wikipedian will memorialize poor Flechtheim. Browse my earlier posts on Alfred Flechtheim here. "Flechtheim was for the Nazi government, you can say, in art, public enemy No. 1," said Ottfried Dascher of Dortmund, a retired professor of history from the University of Bochum. Today, Flechtheim is a hot topic in Germany, a nation trying to come to terms with its past. The art museum in Dusseldorf celebrated his life in an exhibition in 1987. His hometown of Munster renamed a street for him. And just last month, art dealers and historians, including Dascher, dedicated a plaque on the Berlin building where Flechtheim once lived. "There is no week in which I don't get letters and e-mails from all over the world on this subject," Dascher said in a telephone interview. One reason for the interest is that Flechtheim was part of a group of pioneering art dealers of German-Jewish heritage who were the first to champion the work of Picasso and other modern artists. Flechtheim was also part of the cultural renaissance of Weimar Germany, which brought forth the films of Fritz Lang, the music of Kurt Weill and the drama of Bertolt Brecht. Location: U.S. District Court for the Southern District of New York 500 Pearl Street, Ceremonial Courtroom (Reception Room 85). Second Circuit: June 23 Admissions Ceremony - Sign Up Now! 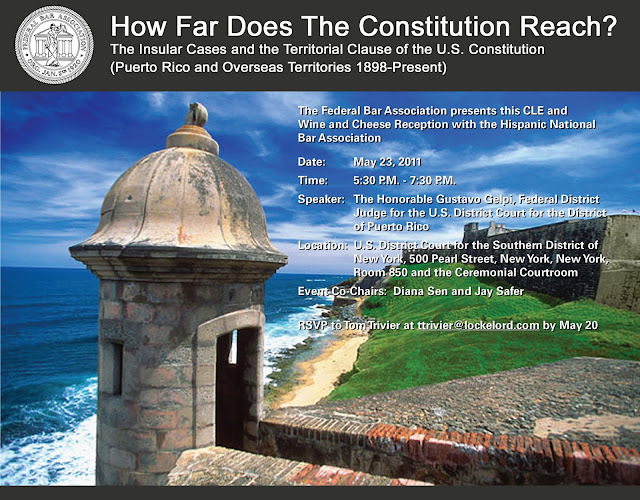 On June 23, 2011, the Second Circuit will be in session to entertain a motion sponsored by the Federal Bar Association, and co-sponsored by the Network of Bar Leaders, New York City Bar Association, New York County Lawyers’ Association, the New York State Bar Association and the Connecticut Bar Association to admit new members. A reception will follow in Room 850. Pursuant to Local Rule 46.1 and the requirements set forth in the Attorney Admissions Application Form (available at www.ca2.uscourts.gov ), any attorney duly admitted to the practice of law and in good standing is eligible for admission to the bar of the United States Court of Appeals for the Second Circuit upon paying the filing fee of $190, reading Federal Rules of Appellate Procedure, the local rules of the Second Circuit, and completing the application. 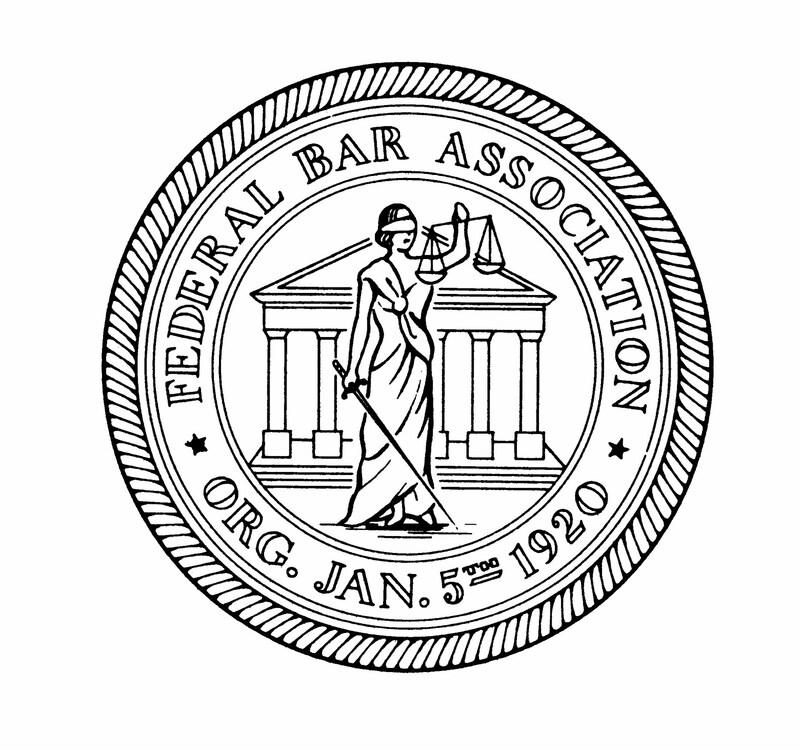 No prior admission to a federal district court is necessary. The admission application is quick and simple. Space is limited, so applicants are urged to apply promptly to participate in this historic event. TO RSVP or for more information, call: Aleksandra Kaplun at (212) 682-8811 or email akaplun@dunnington.com. 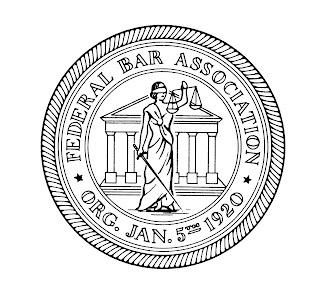 If you would like the Federal Bar Association to act as your sponsor, please call Ms. Kaplun to make the arrangements. Caution: accessing copyrighted files may constitute copyright infringement. Plaintiffs are now pursuing BitTorrent swarms and may discover your IP address and personal information if you download or make your computer available to upload copyrighted works through BitTorrent. If you submit a script to a Hollywood producer who doesn't buy it, but uses the concept, do you have a claim? On May 4, 2010, a panel of the Ninth Circuit Court of Appeals killed Hollywood by holding that implied contracts for the sale of ideas that were previously protected under California state law (pitch meetings for films) were preempted by the Copyright Act. My post here. The Ninth Circuit granted rehearing en banc (before every judge on the court). My post linking to the video of the hearing en banc here. Yesterday, in Montz v. Pilgrim (9th Cir. May 4, 2011) one year after the original Ninth Circuit three-year panel killed the Hollywood pitch claim, the full Ninth Circuit reversed the panel and held that implied contracts for the sale of ideas under California state law are not preempted by the Copyright Act. Decision below, with two dissents, required reading. If you care about this area of law, watch the video of oral argument before the Ninth Circuit, it is excellent. If you want to learn about how Hollywood really works, read one of the great American novels: What Makes Sammy Run? by Budd Schulberg. They say that the novel is so true to life that Hollywood will never make the film. It of course involves theft of ideas, exploitation of writers, unbridled ambition and chicanery. Summary judgment is appropriate when, viewing the facts in the light most favorable to the nonmoving party, there is no genuine issue of material fact, and the moving party is entitled to judgment as a matter of law. Bagdadi v. Nazar, 84 F.3d 1194, 1197 (9th Cir.1996); Fed.R.Civ.P. 56(c). The moving party bears the burden of presenting authenticated evidence to demonstrate the absence of any genuine issue of material fact for trial. Celotex Corp. v. Catrett, 477 U.S. 317, 323 (1986); see Orr v. Bank of America, 285 F.3d 764 (9th Cir.2002) (articulating the standard for authentication of evidence on a motion for summary judgment). The court may “[a]fter giving notice and a reasonable time to respond ... (1) grant summary judgment for a nonmovant; (2) grant the motion on grounds not raised by a party; or (3) consider summary judgment on its own after identifying for the parties material facts that may not genuinely be in dispute.” Fed.R.Civ.P. 56(f). Here, the court has invoked subdivision (f) and given the parties a reasonable time to respond to the order to show cause. Although the plaintiff has requested discovery, noting that the party against whom summary judgment is granted must be “on notice that she had to come forward with all of her evidence,” Celotex Corp., 477 U.S. at 326, the court finds that further discovery is unnecessary, as the court already possesses enough information to rule as a matter of law on the issue of fair use. A plaintiff must satisfy two requirements to present a prima facie case of copyright infringement: (1) ownership of the allegedly infringed material, and (2) that the alleged infringers violated at least one exclusive right granted to copyright holders. 17 U.S.C. §§ 106, 501(a). However, even where a plaintiff has alleged a prima facie case of copyright infringement, the defendant may refute the claim if the defendant has engaged in a fair use of the material. The fair use doctrine is an affirmative defense to a claim of infringement, which protects certain uses of a copyright. The court considers four factors to determine whether the use of a copyrighted work is fair: “(1) the purpose and character of the use, including whether such use is of a commercial nature or is for nonprofit educational purposes; (2) the nature of the copyrighted work; (3) the amount and substantiality of the portion used in relation to the copyrighted work as a whole; and (4) the effect of the use upon the potential market for or value of the copyrighted work.” 17 U.S.C. § 107. The four factors should be considered in light of the purposes of copyright to promote the progress of science and useful arts and to serve the welfare of the public. Perfect 10, Inc. v. Amazon.com, Inc., 508 F.3d 1146, 1163 (9th Cir.2007) (internal citations omitted). “Fair use is a mixed question of law and fact. If there are no genuine issues of material fact, or if, even after resolving all issues in favor of the opposing party, a reasonable trier of fact can reach only one conclusion, a court may conclude as a matter of law whether the challenged use qualifies as a fair use of the copyrighted work.” Los Angeles News Serv. v. KCAL–TV Channel 9, 108 F.3d 1119, 1120 (9th Cir.1997) (citing Hustler Magazine, Inc. v. Moral Majority, Inc., 796 F.2d 1148, 1150 (9th Cir.1986) (quoting Harper & Row Publishers, Inc. v. Nation Enterprises, 471 U.S. 539, 559 (1985))). Here, weighing each of the four use factors and resolving all issues in favor of plaintiff Righthaven, the court finds that a reasonable trier of fact could only reach one conclusion—that the alleged infringement qualifies as fair use. In analyzing the first prong, the court compared the original use: news reporting with the allegedly infringing use: education, and found the use to be transformative based on these different purposes. The court found the use to be non-commercial. Second, the court found the nature of the copyrighted work to be an "informational work" entitled to a lower level of copyright protection, a factor weighing heavily in favor of fair use. Third, the work was used in its entirety, but the defendant did not delete plaintiff's copyright information. The court found this to favor neither party. Fourth, the court found it to be a non-commercial use, and that the plaintiff thus had the burden of affirmatively showing a likelihood of market harm. Plaintiff failed to allege that a market exists. Coloring the court's analysis is Righthaven's position as a licensee hired just for the purposes of suing. Although this decision does not spell it out, Righthaven is not a traditional newspaper. Thus the court drew a distinction in the fourth prong that might have turned out differently had the newspaper brought the suit. Righthaven has attracted a lot of attention as a copyright troll. An informational site on Righthaven here. A site for Righthaven victims here. EFF's activities to protect troll victims here. Mike Masnick at Techdirt has the best ongoing coverage of everything Righthaven, some links below. In Liberty Media Holdings, LLC v. Swarm of November 16, 2010, Sharing Hash File A3E.... and John Does 1-95 2011 WL 1597495 (S.D. Cal. April 26, 2011), the court permitted suit and early discovery, together with claims for copyright infringement, civil conspiracy and negligence against a BitTorrent swarm that accessed and downloaded plaintiff's copyrighted work. Plaintiff identified the copyrighted work that had been accessed and copied by the BitTorrent swarm. Plaintiff was able to identify to the court the Internet Protocol (IP) addresses of each of the members of the swarm, but was unable to serve any of the individuals because Plaintiff lacked their names and addresses. The court found that the Cable Privacy Act, 47 U.S.C. 551(c)(1) applies. The Cable Privacy Act requires cable companies to inform subscribers before any of their confidential information is turned over. Under Rule 26 of the Federal Rules of Civil Procedure, discovery may not commence until the parties have had a "meet and confer" under Rule 26(f). However, in rare cases where the plaintiff cannot learn the defendants' identities without limited discovery, courts may order such discovery. Although discovery usually takes place only after a defendant has been served, “[s]ervice of process can pose a special dilemma for plaintiffs in cases ... in which the tortious activity occurred entirely on-line ... because the defendant may have used a fictitious name and address in the commission of the tortious acts.” Columbia Ins. Co. v. Seescandy.com, 185 F.R.D. 573, 577 (N.D.Cal.1999). Accordingly, courts have, in rare cases, “permitt[ed] limited discovery to ensue after filing of the complaint to permit the plaintiff to learn the identifying facts necessary to permit service on the defendant.” Id. (citations omitted). In determining whether a motion for expedited discovery should be granted to identify anonymous Internet users named as Doe defendants, courts consider whether: (1) the plaintiff can “identify the missing party with sufficient specificity such that the Court can determine that defendant is a real person or entity who could be sued in federal court”; (2) the plaintiff has “identif [ied] all previous steps taken to locate the elusive defendant”; and (3) the “plaintiff's suit against defendant could withstand a motion to dismiss.” Id. at 578–80. The court permitted subpoenas to be served pursuant to Rule 45 of the Federal Rules of Civil Procedure on the cable companies and directed that the cable companies inform individual subscribers that their personal information was being requested. The court denied further discover due to Plaintiff's failure to specify the precise discovery sought. Interesting that the court permitted a negligence claim against individual IP address holders to proceed.